A Salina man was arrested after allegedly pointing a flashlight and handgun at two Salina residents in a parked car. 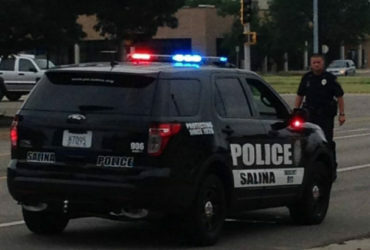 Salina Police Capt. P. Forester told KSAL News a 35-year-old man and a 26-year-old woman were in a parked car Thursday morning around 12:10 in the parking lot of Maggie Mae’s on S. Broadway. A subject pulled up and illuminated them from behind with a flashlight and allegedly pointed a handgun at them. The suspect, followed by the victims, then went to The Hideaway on Willis Ave. When officers arrived they made contact with the suspect and located a black Beretta 9mm handgun in his vehicle. 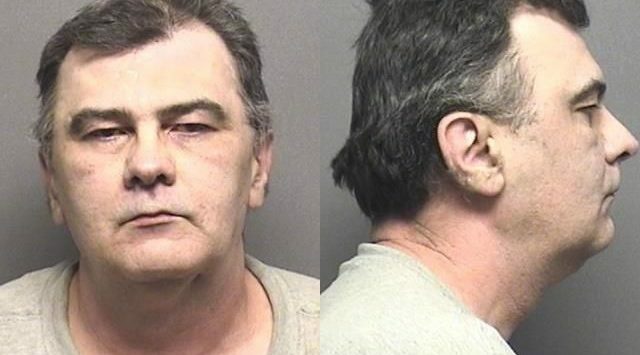 George Schmidt (52) from Salina, was arrested on scene and is being charged with two counts of Aggravated Assault.